I heard a minister once describe being unable to release the guilt from previous and confessed sin as unbelief and one is still carrying the guilt for them like a burden. 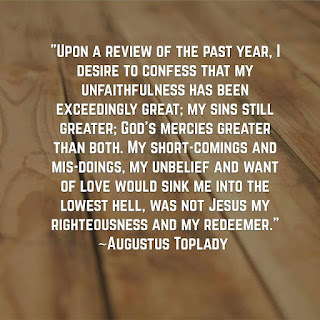 The above quote from Augustus Toplady, although sounding very pious, hints at doing just that. This is not at all the Christian message. The passage written by John is the Christian message. Away with the notion that one is more holy by mulling over past sins. They are holy only because of the innocent sufferings and death of Our Lord Jesus. Faith in him is what justifies us before our Holy Father in Heaven. Today we are still justified sinners. Today we will face temptations and falling short. One gets all wrapped up on last year's sins care is not taken for today. Are the sins too great for Our Crucified Lord to cover? If they are, and we must bear them, we have no hope for today. You are Baptized into Christ. 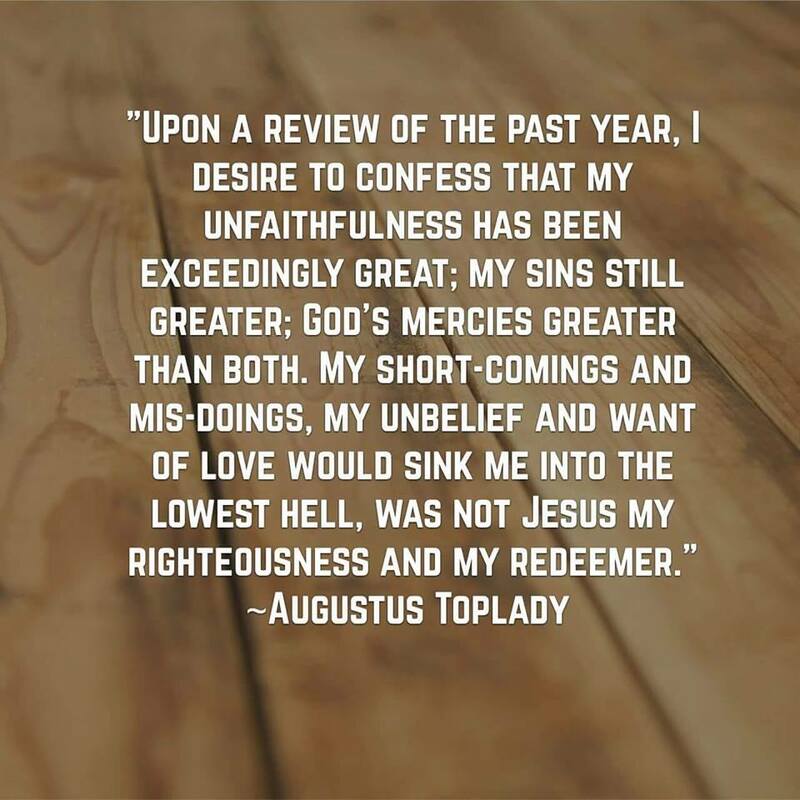 You are redeemed and forgiven!